Today in Masonic History Charles Albert "Chief" Bender passes away in 1954. Charles Albert "Chief" Bender was an American baseball player. Bender was born in Crow Wing County, Minnesota on the White Earth Indian Reservation on May 5th, 1884. He was a member of the Ojibwe (sometimes spelled Ojibwa) tribe. He was given the Indian nickname "Mandowescence", which means "little spirit animal". His father taught him to farm the land the family was given on the reservation. He would attend Carlisle Indian Industrial School and Dickinson College. 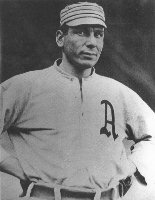 In 1903, Bender began his professional career with the Philadelphia Athletics(A's). In his first year he was one of only a few players to throw more than 200 pitches in a season at the age of 19. His walks per 9 innings was 2.17 since 1893 few players under the age of 20 were able to achieve that. During that first year he also got a chance to pitch against Cy Young. In 1905, Bender found himself in the World Series against the New York Giants. Despite the efforts by Bender during the series, he would pitch one shutout, the A's would loose the series to the Giants. From 1906 to 1910, Bender continued to rack up impressive statistics. At the same time he was dealing with discrimination. Even his nickname "Chief" was a common nickname given to players of Native American descent. Biographer Tom Swift wrote about Bender that he "was often portrayed as a caricature and was the subject of myriad cartoons - many exhibits of narrow-mindedness. After he threw one of the most dominating games of the early years of the American League, Bender was depicted wielding a tomahawk and wearing a headdress as though he was a happy warrior." On the field it was common for taunts to come from the opposing team dugout. From them he would hear things like "Back to the Reservation!". Bender would take the taunts in stride, even smiling at some. On occasion when he would retire the side with a strike out, he would shout back "Foreigners! Foreigners!" In 1910, Bender and the A's made it to another World Series. This time they would defeat the Chicago Cubs, giving Bender his first World Series Championship. In 1911, Bender and the A's would win the World Series again, this time in a rematch against the New York Giants. They would win their third World Series in four years in 1913. By the time that Bender's professional career was over in 1918, he had a record of 212-127 and a career ERA 2.46. In five trips to the World Series he would have 6 wins during the collective games and would complete 9 of the 10 games he started in. He also threw a no-hitter on May 12th, 1910. Bender would be a player-manager in the minor leagues from 1919 until 1924, although the last two years he did not manage. From 1925 to 1932 he would go back to the Major Leagues with the White Sox and the Giants. He would be the manager for a Yankee affiliate and he would manage the baseball team at the United States Naval Academy. Around 1933 he would return to the Athletics where he would remain for the rest of life acting as a coach, minor league manager and scout. Bender was elected into the Baseball Hall of Fame in 1953, unfortunately he would pass away before the induction ceremony. His wife would accept the plaque on his behalf. Bender passed away in May 22nd, 1954 from prostate cancer. Bender was a member of Lamberton Lodge No. 487 in Philadelphia, Pennsylvania.